It seems as though respect for the police these days is at an all-time low. News of misconduct, officer involved shootings, deep-seeded corruption and abuse of power and cover-up flood national and local headlines. Protesters march in the streets demanding reform, justice and accountability. 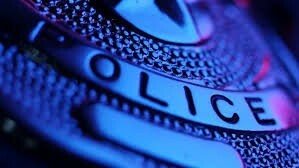 Yet, with some law enforcement officials claiming a "war on police," both politically and on the streets, a recent Gallup poll shows that respect for local law enforcement is as high as it's been since the 1960s. According to Gallup, 76 percent of people said they have "a great deal" of respect for "police in their area." That's a 12 percent jump from 2015's numbers. Gallup also broke down the results by race. 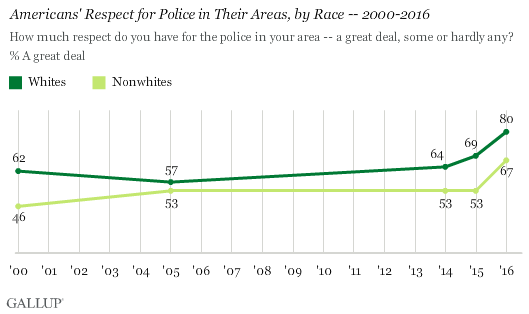 Despite heightened racial tensions, seemingly exacerbated by police shooting and killing unarmed black men, Gallup found that respect for police has increased for both white people and nonwhite people. 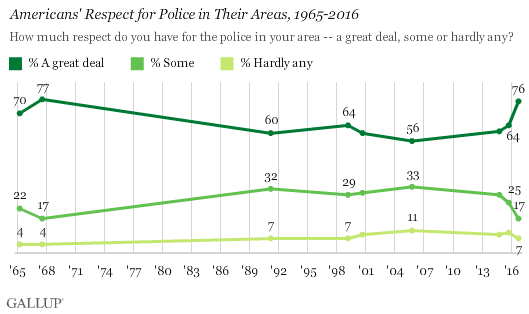 Another Gallup poll from earlier this summer also found that a narrow majority of Americans have "confidence" in police. In 2016, that number actually increased from a 22-year low in 2015. This year, 56 percent of the 1,027 adults polled said they had confidence in the police. Unlike those asked if they respected police, this confidence poll saw a more pronounced split between white people and nonwhite people. According to Gallup, confidence in police among white people increased, while among nonwhite people, confidence in police remained the same. Additionally, the respect for police poll in October 2016 asked about local police. The confidence poll from June 2016 did not. At least one local survey also indicated that "trust and confidence in the police department has increased from 66 percent to 94 percent since 2013." Other research indicates that SPD's use of body cameras could mean citizens' believe that they're being treated fairly. Over in the Seattle Police Department, a recent public survey shows that 72 percent of Seattleites approve of the department's performance in 2016 — up from 60 percent in 2013. The survey is part of Seattle PD's consent decree with the U.S. Department of Justice.